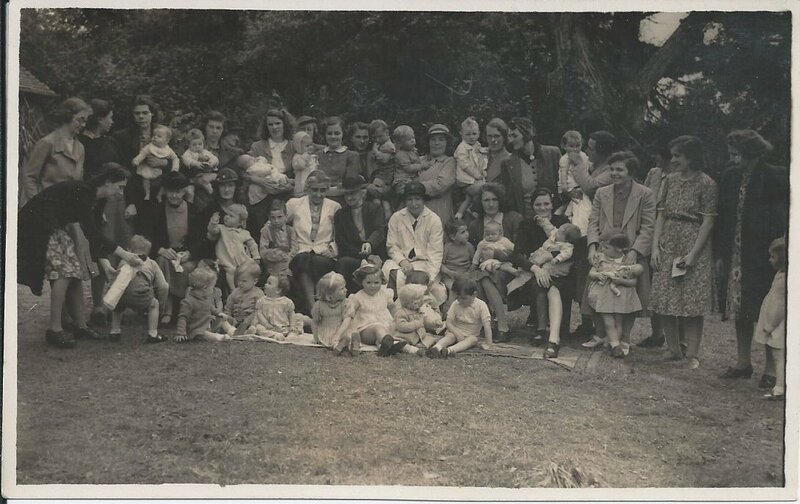 Another photo of a large group of ladies with children. This photo comes from the Elsam collection and it may something to to with a health clinic. The clinic was probably held in the church room (opposite the old school) and the photo could have been taken in the Vicarage garden. It was probably taken sometime in the 1940s. 1. Aggie Clout 1. (bending over) ? 3. Win Garratt 3. ?